Get all the lastest IPhone Tricks, Tips, and Apps. Everything from Games, IPhone Survival, Teaching your Kids, GPS, and Much More. This book even teaches you how to get Beer and Popcorn on your IPhone, That's Right! Beer and Popcorn. You can't lose on learning something new on something you use Everyday! 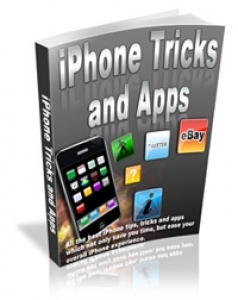 Come join us and learn New IPhone Tricks and Apps.